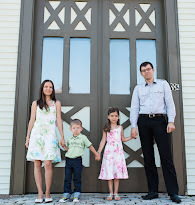 We are really excited that our blogging friends Viva Veltoro and Thrifty Nifty Mommy are celebrating some blogging milestones! hit 25,000 Facebook followers, now they're doing what they do best - hosting a great giveaway event! They are featuring 10 days of giveaways so make sure to check them out. 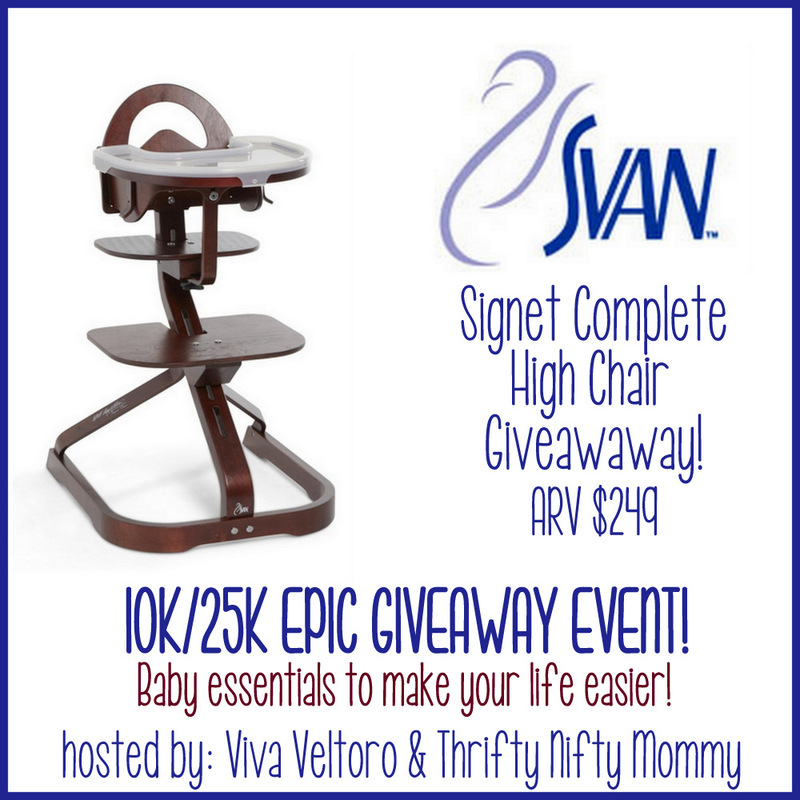 First in the lineup of 10 days of giveaways is a Svan Signet Complete High Chair! The Signet Complete High Chair makes mealtime easy and enjoyable for baby and parent alike. Signet seats little ones as young as six months up to the table for enjoyable interaction with the rest of the family, turning mealtime into family time! This award-winning, beautiful Scandinavian-designed bentwood high chair grows with your child from infant to young adult. Starting as a traditional high chair, the Signet Complete High Chair can function safely with or without the tray to seat infants at the table. The safety guard can later be removed to allow preschoolers and toddlers to step up into the chair on their own. Once a child outgrows both high chair configurations, the Signet converts into a full-size chair for teens and adults. With maximum adjustability and a five-point safety harness, the Signet Chair allows for supportive, safe and comfortable seating at any age. The chair’s seat height and depth fully adjust to provide optimum torso and leg support while its fully adjuxdstable footrest allows for ergonomic seating. For added safety, the chair comes with a five-point harness, helping to keep active children safely seated even during those restless moments at meal time. The Signet Complete High Chair comes with a removable tray that conveniently stores on the back of the chair and a dishwasher-safe, BPA and phthalate-free plastic tray cover. It boasts a small footprint and portability, in addition to a user-friendly design that allows for easy assembly and adjustment. One lucky person is going to WIN a Svan Signet Complete High Chair! Connect: You can connect with Svan on Facebook and follow them on Twitter and Pinterest. Buy it: You can purchase the Svan Signet Complete High Chair on the Svan website. Open to the US only. Ends 9/9/13 at 11:59 PM EST. I'd like to have the baby projector. I like the Play With Me Toddler Table and Chairs set. I like the air humidifier mushroom! Play with me toddler table set! I'd also like the Baby to Booster Brentwood Highchair.